‘I was a young woman who was going out and having a really good time, staying out late at night,’ Meisler tells DailyMail.com – adding that her presence on the scene even gave her glimpses of pop culture icons. 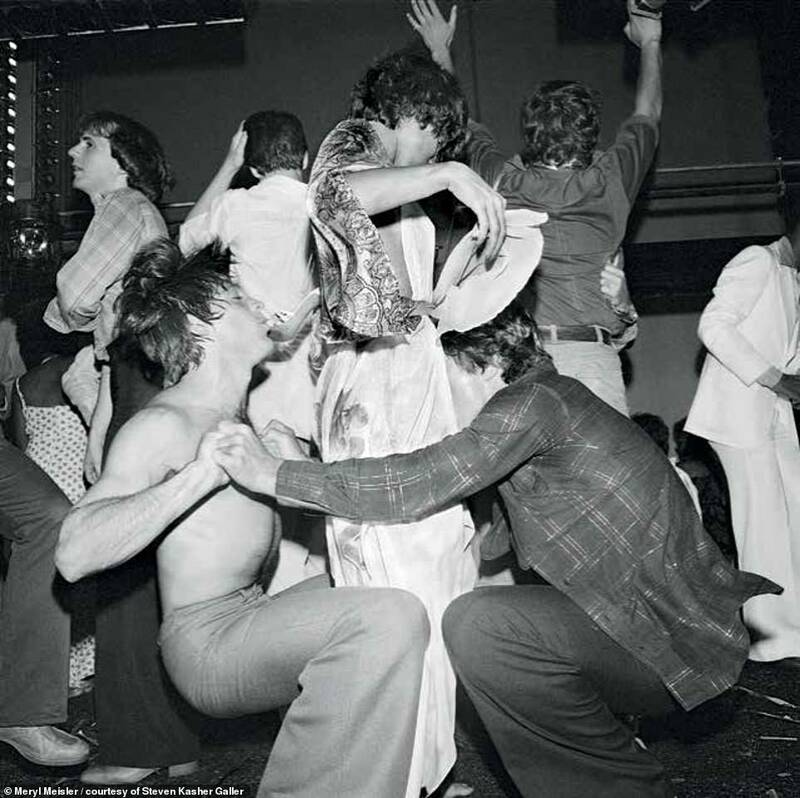 Meisler notes that many Seventies parties were themed, prompting people to dress outrageously – further fueling the hedonistic vibe. 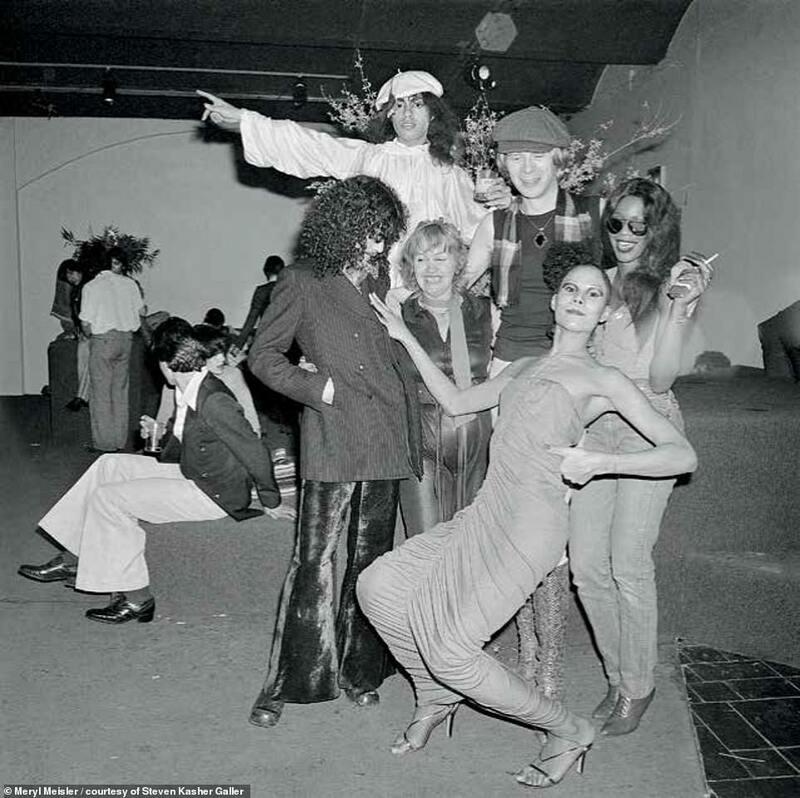 Studio 54 was perhaps the most iconic venue, enforcing strict regulations and ruthless admissions policies – but Meisler was a regular, along with more famous names and faces like Andy Warhol and Grace Jones. ‘They were like regular people,’ she says. ‘You know, once you got into Studio 54 and other clubs as well, celebrities were normal. A lot of nights out it was a mix; regular people happened to be in the club and so everyone was mingling. While Meisler skillfully pointed her lens and captured fabulous shots, she never fawned over the more well-known club patrons and would never ‘run and attack’ celebrities, she says. ‘I would get get a kick when I would see someone who’s famous, but they weren’t my focus,’ Meisler tells DailyMail.com. And her images expertly showcase that ‘fantastic’ factor, capturing the frenetic atmosphere, flamboyant fashion and social diversity. She has preserved for history all of those elements, publishing books that reveal the various sides and stages of New York. 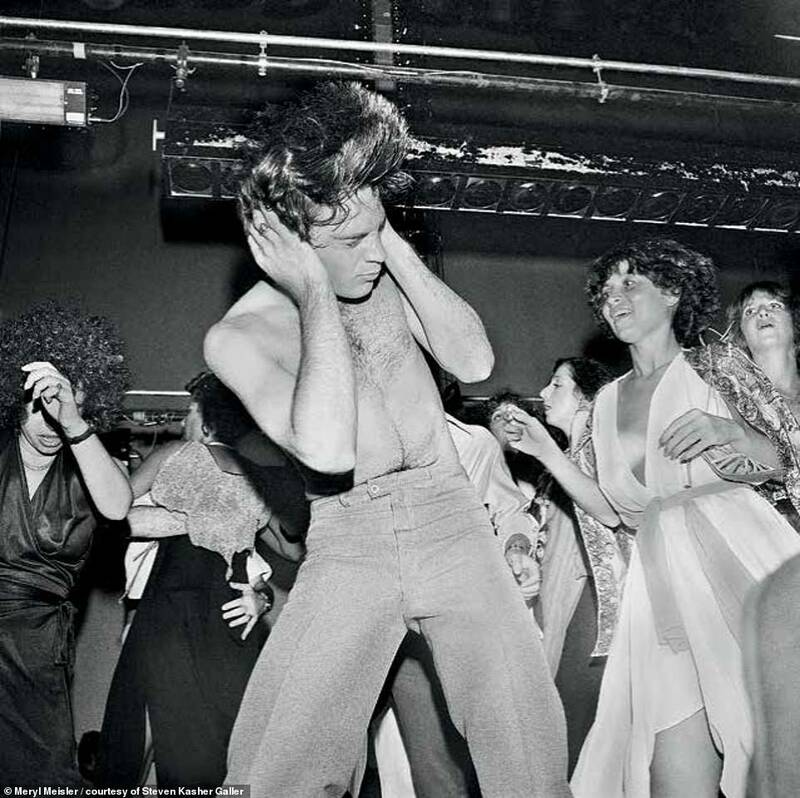 A Tale of Two Cities: Disco Era Bushwick features disco images and accounts from historians, educators and disco divas; similarly, her book Purgatory & Paradise: Sassy 70s Suburbia & the City includes photos from Fire Island, Studio 54 and the Lower East Side. The books – along with her other images – paint a vivid portrait of a risqué, wild time in a city both struggling and evolving but all the while, in keeping with its reputation, never sleeping. 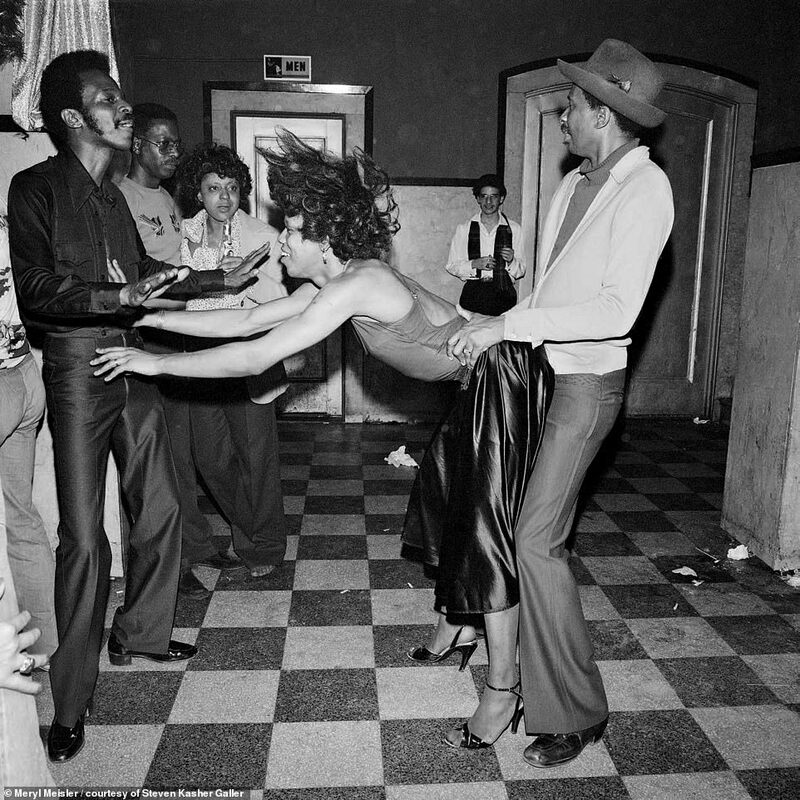 The photos leap off the pages – and, four decades later, still stir up the ‘fever’ as it was in its heyday.